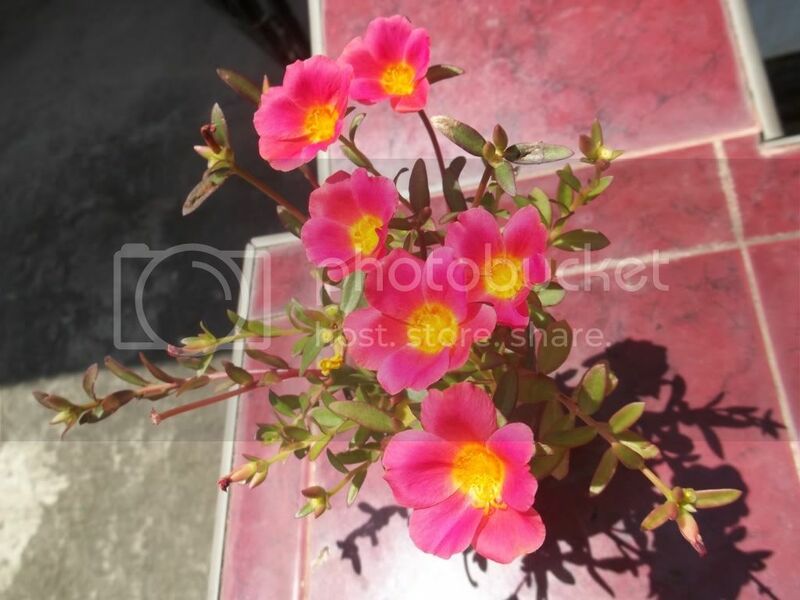 I have this flower growing in my garden and since they flower everyday I made some as cut flowers and they began to root, anyone know what is this flower called? They're like 1-2 inches blooms. I've seen this plant many times at the garden center but can't think of the name right now, sorry.......of topic, may i ask which part of the Philippines, you are from? I am from Mindanao or (was). Oh I'm from the Visayas, I'm really curious about this flower. but the leaves are a little different. I don't know if that's because it is a Phillipine variety or if it is something else, just with similar flowers. I saw the same plant at the nursery today(Lowe'). It is "purslane". 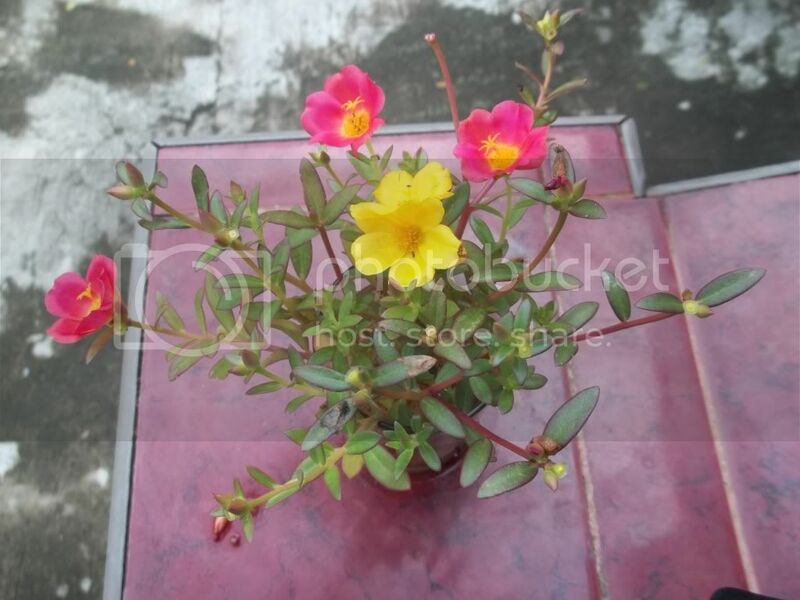 purslane and moss rose are very closely related, both in the genus portulaca. You might say purslane is wild moss rose. But left to its own devices it is a common (edible) weed with not very showy flowers. The moss roses have been hybridized and selectively bred to have the brilliant colored flowers.